You have added Peekaboo Crochet Lace Sheath Dress in Black- Plus Size into shopping cart. This gorgeous crochet lace sheath dress is feminine, romantic, and sweet. The Peekaboo Crochet Lace Sheath Dress is made of crochet lace and features a rounded neckline, short sleeves, and a classic sheath cut. It is lined at the bust and skirt, but is semi-sheer at the neckline, sleeves, top back, and at a small panel at the waist. You may wear a fitted cami underneath if you prefer more coverage. One of our favorite things about this dress has to be the scalloped trim on each sleeve and at the hemline. 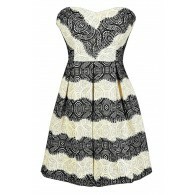 An invisible back zipper and a vertical row of buttons at the back complete this pretty dress. The Peekaboo Crochet Lace Sheath Dress will have all eyes on you! Pair it with pumps or strappy heels for an unforgettable look. Details: Lined at bust and skirt. Hidden back zipper. 100% cotton. Hand wash cold water separately. Color will bleed. No bleach. Hang to dry. Size XL measurements: Length from top of shoulder to hemline: 41". Bust: 40". You have added Peekaboo Crochet Lace Sheath Dress in Black- Plus Size into Wishlist. 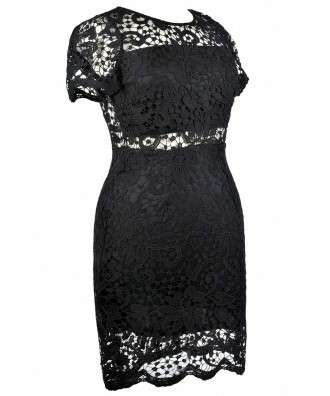 You have added Peekaboo Crochet Lace Sheath Dress in Black- Plus Size for Stock Notification. 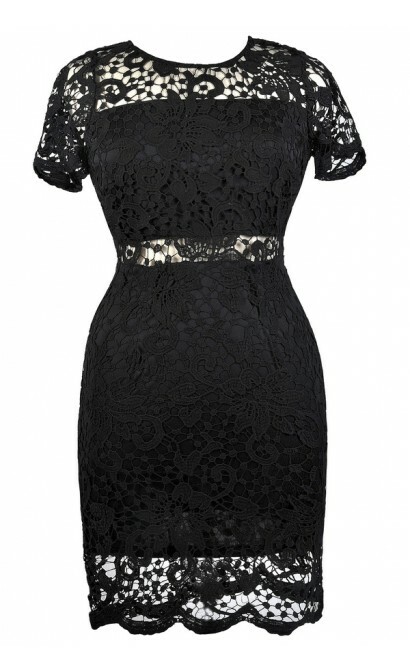 You have set Peekaboo Crochet Lace Sheath Dress in Black- Plus Size as a loved product. 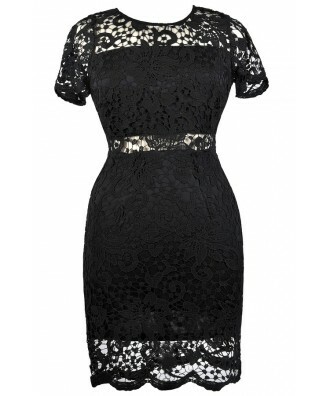 You have removed Peekaboo Crochet Lace Sheath Dress in Black- Plus Size as a loved product.